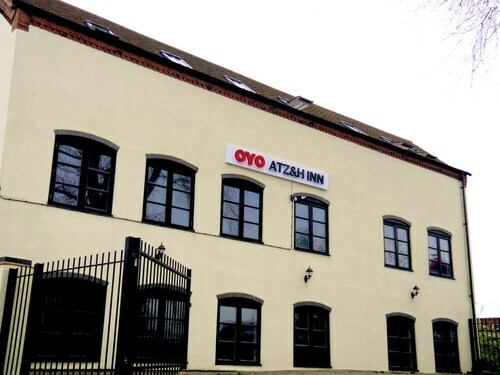 Situated in Bilston, this guesthouse is within 3 mi (5 km) of Wolverhampton Grand Theatre, Mander Shopping Centre, and Wolverhampton Art Gallery. Wolverhampton Civic Hall and University of Wolverhampton are also within 3 mi (5 km). 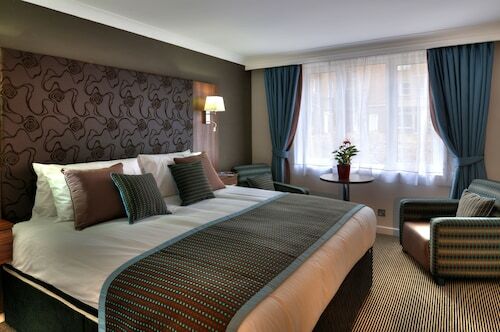 This centrally located hotel is a 5-minute walk to Birmingham New Street Station and is near the National Indoor Arena, the International Convention Centre, and Bullring Shopping Centre. 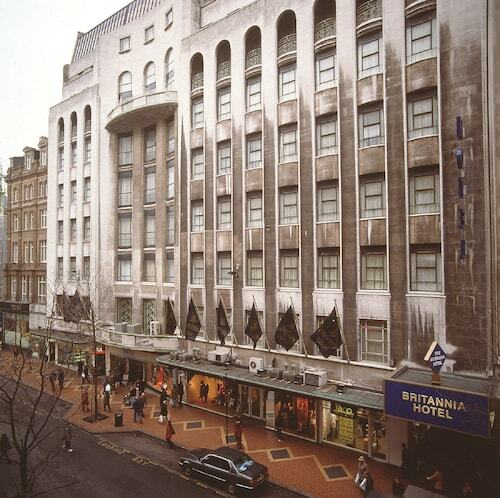 In the heart of Birmingham, just minutes walk from New Street Train Station, the Bull Ring Shopping Centre and the vibrant bars on Broad Street. The International Convention Centre is just across the road. Also near the National Indoor Arena, and only 10 minutes by train from both Birmingham International Airport and National Exhibition Centre. High-rise Jurys Inn Birmingham is a 5-minute taxi ride from Birmingham New Street Train Station, and it's just a little farther to the iconic Bullring Shopping Centre. The International Convention Centre is a 2-minute walk from the hotel. How Much is a Hotel Room in Bilston? 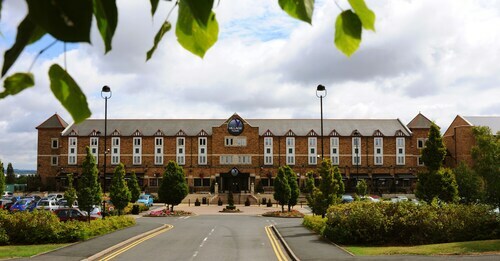 Hotels in Bilston start at $40 per night. Prices and availability subject to change. Additional terms may apply. The Wentbridge House is up there with the most ideally located accommodation options, one of only a few places within a short walk of the Bilston town center. Look into the ibis Styles Birmingham Hagley Road (Opening November 2016) and the Staying Cool at the Rotunda. The ibis Styles Birmingham Hagley Road (Opening November 2016) is positioned 8 miles (13 kilometers) away from the town center of Bilston. The Staying Cool at the Rotunda, is located just 9 miles (15 kilometers) away. You could also check out the amenities and rates at the SACO Birmingham - Brindleyplace or the Comfort Zone Parkside Apartment Hotel Birmingham. Would you like to travel a little bit out of the center? West Midlands has many exciting things to see. Explore West Midlands's castles and don't forget to enjoy the region's rural landscapes, forests, rivers and streams. Wise visitors in this pocket of United Kingdom often love mountain biking and mountain climbing. Want more to do? 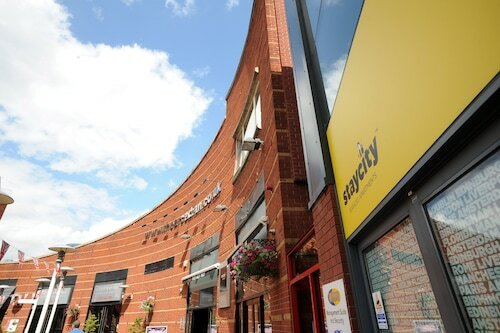 You could spend some time exploring Black Country Museum and Dudley Zoo and Castle, which can be found in Dudley, 3 miles (5 kilometers) to the southwest of Bilston. 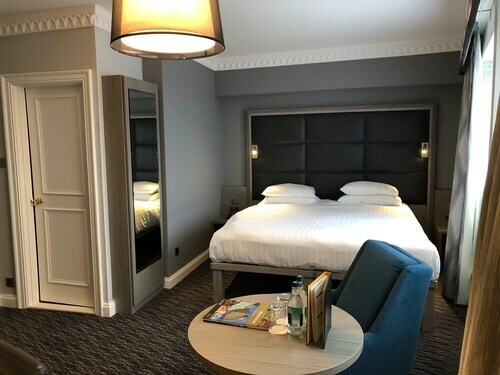 If you want to spend a few nights in Dudley, check out the rooms at the Village Hotel Birmingham Dudley and Station Hotel. 25 miles (42 kilometers) to the east of Bilston, you'll reach Coventry, which is home to the Novotel Coventry M6/J3 and Ramada Hotel and Suites Coventry. The University of Warwick and Coventry University are frequented attractions to explore when you're in Coventry. Why not spend an afternoon enjoying the thrills and spills in the company of sports enthusiasts at an engaging game. Capital FM Arena is 50 miles (77 kilometers) to the northeast of Bilston. Anyone that hope to find a Travelocity-listed hotel near the stadium can read about the Crowne Plaza Nottingham or the Park Plaza Nottingham. Birmingham Airport is a closeby arrival point for air travel, and is situated 16 miles (26 kilometers) from the heart of Bilston. 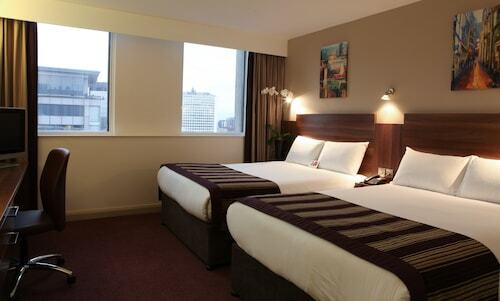 Nearby accommodation options include Novotel Birmingham Airport and Holiday Inn Birmingham Airport. 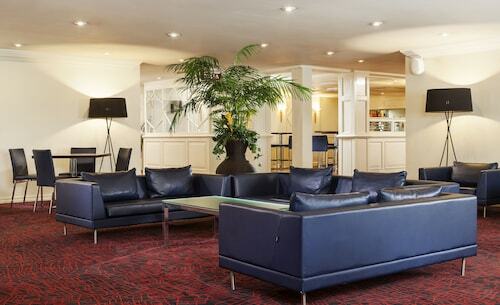 Very well kept hotel in the city center within walking distance to major attractions. Highly recommended. Entities that advertise hotels and how they depict their rooms should be honest in their portrayal of room sizes. When I arrived at the hotel my room looked and felt like a coffin ( outdated and incredibly small) and was nothing akin to the room that was depicted on the website. After I requested a bigger room,I was informed that the rooom that I had secured was “on special” and I had to pay extra to be upgraded. Although the room was bigger it was cold at night and my requests to have the heat turned up were ignored. My overall experience was around 6 out of 10. For as much money as I paid, I expected at least an air conditioner and a larger room - very disappointed! The restaurant staff and housekeeping staff were wonderful. My request were always met with a smile. 5.0 Modern hotel in a historic city! Our family had a wonderful two week Christmas vacation at Staycity! The place is clean and has well appointed furnishings. The staff are ever so nice and eager to help. The place is centrally located and we'll kept. Highly recommended!